On this date, May 21st two important events occurred in Alabama history. The Confederate Congress met for the last time in 1861 and the Constitutional Convention of 1901 met to draft the sixth Constitution. 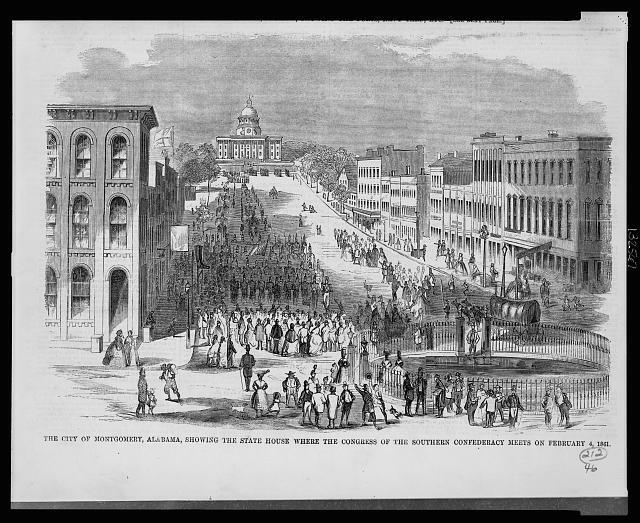 May 21, 1861 The Confederate Congress meets for the last time in Montgomery, Alabama. 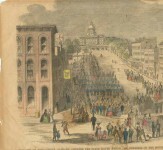 Montgomery served as capital for just three months, from February to May 1861. The Congress was first organized as the Montgomery Convention, which marked the formal beginning of the Confederate States of America. 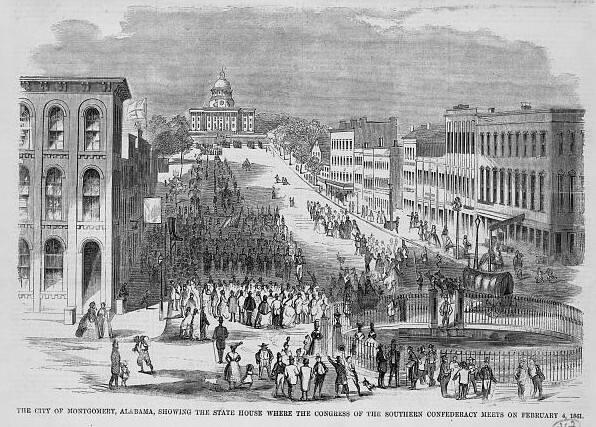 Convened in Montgomery, Alabama, the Convention organized a provisional government for the Confederacy and created the Constitution of the Confederate States of America. 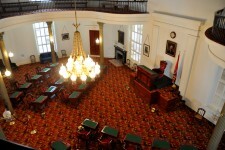 It opened in the chambers of the Alabama Senate on February 4, 1861. On February 8, the Convention adopted the Provisional Confederate States Constitution, and so became the first session of the Provisional Confederate Congress. 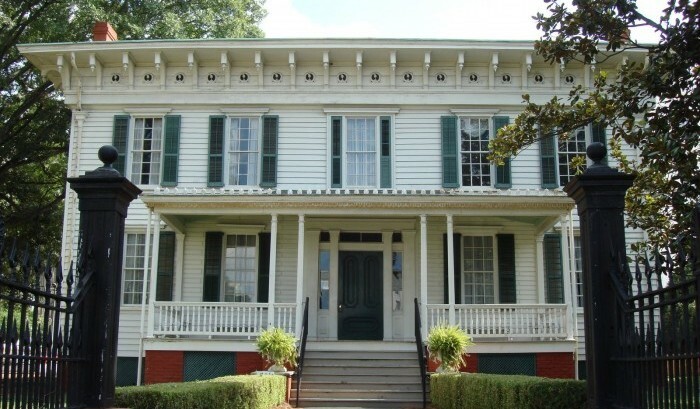 The First White House of the Confederacy was in Montgomery, Alabama. 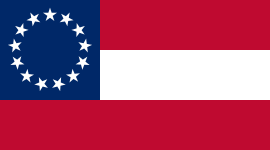 The Provisional Confederate States Congress, for a time the legislative branch of the Confederate States of America, was the body which drafted the Confederate States Constitution, elected Jefferson Davis as Provisional Confederate States President, and designed the first Confederate flag. 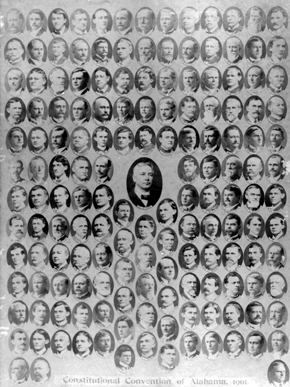 Unlike the later bicameral Confederate States Congress, the Provisional Congress consisted of only one house and its members were referred to as deputies and delegates. 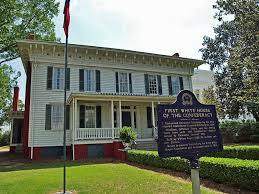 The Second session of the Provisional Congress in Montgomery began on April 29, 1861 and ended on May 21st, 1861. 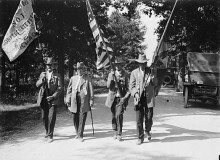 After Virginia joined the Confederacy in April 1861, leaders urged the move to the larger city of Richmond, which was closer to the military action. John Tyler, the tenth President of the United States (1841–1845), served as a delegate from Virginia in the Provisional Confederate States Congress until his death in 1862. 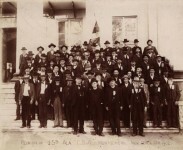 May 21, 1901 The Constitutional Convention of 1901 assembled in Montgomery to write Alabama’s sixth constitution. The 1901 Constitution is still in effect. At 340,136 words, the document is 12 times longer than the average state constitution, 40 times longer than the U.S. Constitution, and is the longest still-operative constitution anywhere in the world. About 90 percent of the document’s length, as of 2012, comes from its 856 amendments. I enjoy receiving your daily newsletter. 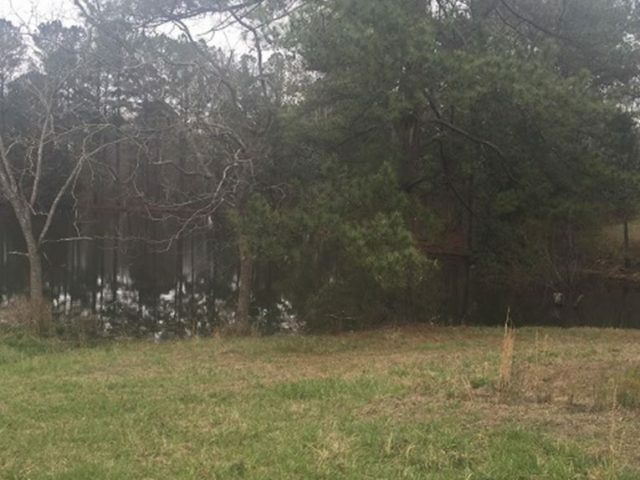 My ongoing research is into my only Alabama pioneer ancestor line, in Macon County and “the Fork”, opened my eyes to early Alabama history. Your newsletters and research have been very helpful in keeping me focused. One update for you: the Alabama Secretary of State’s webpage has an official listing of the 1901 Constitution’s Amendments and shows count to be 892 as of the election of 2014. The number of Amendments in today’s newsletter, 856, was valid through 2010. As for the number of words, I know of no ‘official’ number, but I believe the new total is approaching 350,000 which is somewhere between the word count of two of my favorite books; “The Fountainhead” around 310,000 and “Gone With The Wind” around 420,000 words. I dare say more people have read and enjoyed those two books than have read and pondered our 1901 state constitution! Thanks for reminding us of this key event in 1901. This was one of my most favorite places to visit as a child. It was as if I had known it all my life, it felt comfortable to me.